Halloween Party at Bistro 61 SATURDAY! special drinks & frighteningly good food. Wear your costume & a special after dinner drink is on Bistro61. WHAT: The Vegas Valley Book festival culminates in a celebration of literature, food and some of Las Vegas’ greatest chefs on November 7. 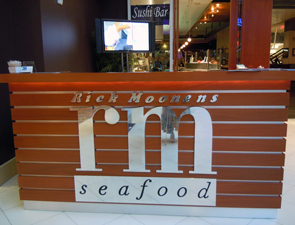 Celebrity Chef Rick Moonen of Bravo’s Top Chef Masters and Rick Moonen’s rm seafood at Mandalay Bay hosts this day filled with a wide variety of programs and special events related to food, cooking traditions, literature and books. WHEN: Sunday, November 7 from 11a.m. - 4p.m. 11 a.m. Panel discussion from esteemed Las Vegas food critics John Curtas, Max Jacobson and Al Mancini discussing their favorite Vegas restaurants, as described in their upcoming book Eating Las Vegas: The Essential Restaurants (Huntington Press).This panel will be moderated by celebrity journalist Robin Leach. 12:15 p.m. Learn about farmer’s markets and the dishes you can create from their bounty from award-winning author Deborah Madison. 12 p.m. - 2 p.m. Experience cooking demonstrations by nine acclaimed Las Vegas chefs cooking side by side on a wood-fired “community grill.” Participating chefs will include Mike Minor of Border Grill (Mandalay Bay); Megan Romano of Charlie Palmer Restaurant Group (Four Seasons and Aureole); Lorin Watada of Bachi Burger; Jet Tila of Wazuzu (Encore); Sven Mede of American Fish by Michael Mina (Aria); Geno Bernardo of Nove Italiano (The Palms); Jean Paul Labadie of Marché Bacchus French Bistro & Wine Market; Kuldeep Singh of Origin India Restaurant & Bar, and Moonen. Local farmers’ market with fresh produce. An exhibition of vintage cocktail books from the collection of Pamela Grogan in the Gallery of the Historic Fifth Street School, with mixology demonstrations inspired by the collection. An outdoor stage, hosted by Nevada Public Radio’s “Desert Companion” staff, fielding live twitter comments about the community grill and other events of the day. A Kids in the Kitchen plaza, sponsored by Junior League of Las Vegas, that includes a kids’ cookbook-making project, free children’s books provided by Walmart and activities inspired by the work of Gilcrease Orchard. Local actor Jeff Granstrom presenting short readings from great literature about eating, food and culture in the Frank Wright Fountain Courtyard. A selection of used cook books from Amber Unicorn Books and Greyhounds Books. A beer and wine garden in the plaza - The Ace of Clubs Bar, inspired by Superman comics. A table-top competition on the theme of great books, with prizes awarded for best of show. A health and nutrition monitoring station provided by Valley Health Systems. 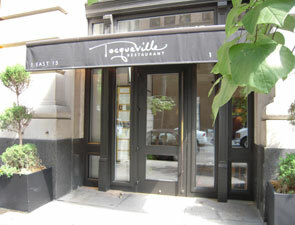 Join Tocqueville Tuesday November 2nd, 2010-6:30PM to launch their Etude Vitners Menu. Etude wine representatives will be joining to discuss and converse about what makes Etude stand out in todays oversaturated wine market. Tocqueville will be featuring this menu nightly until November 22nd. 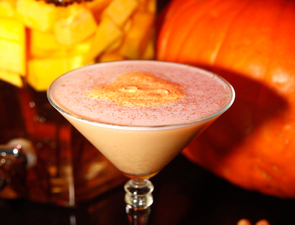 Bouchon Bakery and Fusion Mixology Bar just came out with some tasty treats inspired by fall. Bouchon Bakery has several new desserts available until October 31st and Fusion is offering a Pumpkin Spice Martini that tastes just like a slice of pumpkin pie. Descriptions are below. Hope you get a chance to try some of them! Shake all ingredients and double strain into a chilled martini glass. Garnish with a float of homemade pumpkin whipped cream and sprinkle with cinnamon sugar. The inaugural FOOD & WINE All-Star Weekend, hosted by FOOD & WINE’s Gail Simmons and an array of culinary all-stars, will take place in Las Vegas at luxury resorts Bellagio, ARIA, and Vdara November 5 -7. 8 - 10 p.m. First Course: Kick-off party hosted by Gail Simmons, Anthony Giglio and Fabio Viviani at Bar Vdara, featuring Executive Chef Martin Heierling and a star-studded lineup of celebrity chefs, Top Chef Alumni and music from DJ Bree Cohen aka DJ88. 10 p.m. - midnight Deuce After Dark: After-party featuring Gail Simmons chefs Shawn McClain, Julian Serrano, Rick Moonen, Jean-Philippe Maury, Fabio Viviani, Carla Hall, Jennifer Carroll, Hosea Rosenberg, Vinny Dotolo and Stephen Hopcraft each hosting their own blackjack tables at ARIA’s Deuce Lounge. 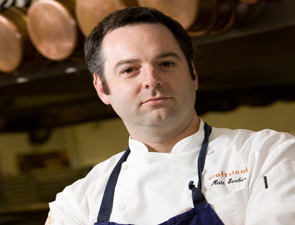 Noon - 2 p.m. Luxe Lunch: Guests will enjoy a three-course lunch, prepared before them by Bellagio chefs Marc St. Jacques of MICHAEL MINA and Pastry Chef Philippe Angibeau of Le Cirque as well as Top Chef fan favorite Fabio Viviani. Hosted at Bellagio’s Tuscany Kitchen by Gail Simmons and Bellagio Director of Wine, Jason Smith, M.S. who will pair each course with a complementary wine. 4:30 - 5:15 p.m. FOOD & WINE Contributing Editor and Wine Expert Anthony Giglio will host a cocktail seminar at ARIA’s Café Vettro featuring fare from award-winning Bellagio and ARIA Chef Julian Serrano. 8 - 10 p.m. All-Star Tasting poolside at ARIA featuring Bravo’s Top Cheftestants and showcasing the signature restaurants of ARIA: Jean Georges Steakhouse, AMERICAN FISH, Sirio Ristorante, Julian Serrano, Bar Masa and Sage. 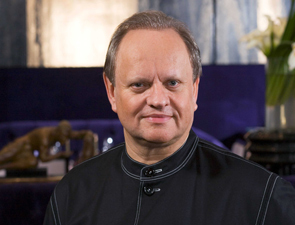 Many of ARIA’s award-winning chefs and restaurateurs will be in attendance including Masa Takayama, Shawn McClain, Jean-Philippe Maury and Sirio Maccioni. Featuring music by DJ 88. 11:30 a.m. Champagne & Caviar Brunch: The weekend will come to a close with a lavish brunch set against the backdrop of the breathtaking Fountains of Bellagio, featuring guest host Anthony Giglio, who will present a specialty Bloody Mary Bar and Fabio Viviani who will put a modern spin on the classic egg sandwich. For the detailed event schedule, ticketing and more information about the FOOD & WINE All-Star Weekend visit www.foodandwine.com/vegas. Sponsors and partners for the festival include Alexia, Fiji, Kerrygold, Nicolas Feuillatte, Patron and Stella Artois. Scarpetta Beverly Hills Opens Tonight! 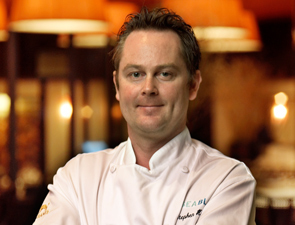 Scarpetta Now Open at the Montage Beverly Hills! 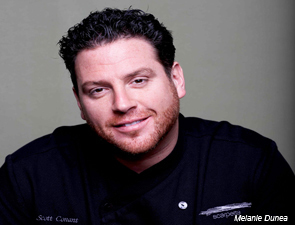 Tonight, award-winning chef Scott Conant opens Scarpetta at Montage Beverly Hills, located in the heart of the golden triangle in Beverly Hills, California. An Italian expression meaning “little shoe” - or the shape bread takes when used to soak up a dish - Scarpetta represents the pure pleasure of savoring a meal down to its very last taste. The restaurant’s soulful, seasonally-inspired Italian dishes offer fresh ingredients and clean, earthy flavors that pay homage to Conant’s heritage and time in Italy. The menu will introduce several new dishes inspired by local produce and also feature Scarpetta’s signatures such as creamy polenta with fricassee of truffled mushrooms and spaghetti with tomato and basil. 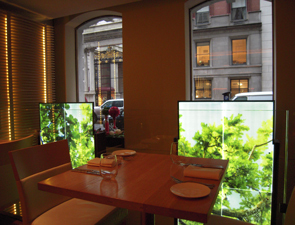 After opening in 2008, New York’s Scarpetta received glowing three-star reviews from The New York Times and New York magazine. 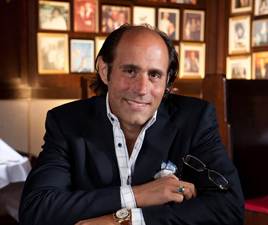 Both publications selected Scarpetta as among the top 10 new restaurants that year. Scarpetta was also named one of the “Best New Restaurants in America” by Esquire magazine, and the Miami Beach location received a four-star review from The Miami Herald, the highest rating possible. 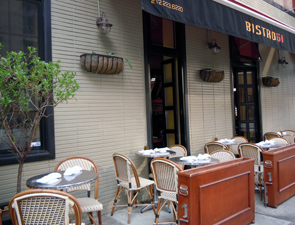 Both restaurants were included in Travel + Leisure magazine’s “50 Best New U.S. Restaurants” feature in 2009. Designed by Studio Gaia (Tao Las Vegas, W Mexico City), the bar area, main dining room and al fresco courtyard seamlessly flow into one another. The décor is inspired by Old Hollywood, which is evident in the architectural grandeur of the room, complete with double-height windows framed by dramatic curtains. Rustic and natural details such as the unfinished dark wood floor and millwork round out the spacious setting. Custom wine cabinetry emphasizes the existing arches, reminiscent of the vaulted ceilings in an underground wine cellar. The bar area can seat 44 while the main dining room seats 80 and an additional 40 can dine in the outdoor courtyard. WHAT: The Chef Artist Series is a Harrah Hotel College dining event that gives students opportunities to learn culinary and hospitality techniques from professional chefs as they work together to create a gourmet dinner adapted from the guest chef’s restaurant. WHO: In its seventh installment, Chef Artist Series students will work with world renowned French chef Joël Robuchon, Claude Le-Tohic, executive chef of Joël Robuchon at MGM; Matt Seeber, executive chef of Tom Colicchio’s Crafsteak at MGM; and Steve Hopcraft (Top Chef Cheftestant), executive chef of Michael Mina’s Seablue at MGM. Students help prepare a four-course dinner for more than 100 guests at a reception of hors d’oeuvres, wine and entertainment open to the public. The event also raises money to fund students’ scholarships and help pays for training and professional development needs for food and beverage professors. WHEN: Tuesday, Nov. 16, 2010 from 6 p.m. to 9 p.m.
WHERE: Stan Fulton Building at UNLV, off of Flamingo Road and Swenson Avenue. DETAILS: The menu: first course of main lobster on a turnip slice with a sweet and sour sauce; second course of striped bass, saffron rice, manila clams and smoked tomato chorizo broth; third course of braised shortrib, grilled ribeye with faro, tripe and black truffle; fourth course of guanaja chocolate with coffee ice cream, caramelized puffed rice and lemon confit. TICKETS: Tickets are on sale for $150. Seating is limited. 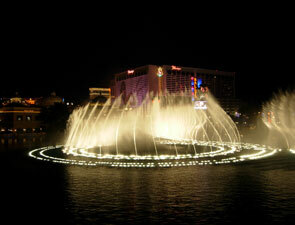 Reservations and payment are required by Nov. 11 and can be made by calling (702) 895-1330. New Yorkers have access to some of the country’s finest Italian markets selling incredible selections of pastas, olive oils, meats and cheeses. 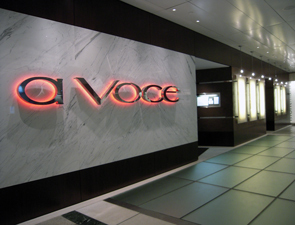 Join us at A Voce Columbus Circle at Time Warner Center for Negozio Gastronomico, an exclusive 3-course lunch inspired by the Italian grocery. Find out where to source the best specialty ingredients and learn insider techniques and recipes from A Voce Executive Chef, Missy Robbins. Why settle for the same 3-course format when now you can choose based on your appetite. Choose one or two things for a quick snack after work, or customize a full tasting menu for a special occasion. By offering a wider variety of dishes in a single size format, they wanted to break out of the traditional mold while continuing to provide great food that emphasizes locality, sustainability, health and of course…quality! The left side of their menu now features three brand new sections featuring a diverse focus. They emphasize the things we love most - vegetables and wonderful, high quality seafood. Each dish is simply prepared and just big enough to wet the palate. The dishes can be enjoyed as a light starter for one person or to be shared among the entire table for a more communal experience. Classic bites highlighting the best vegetables of the season as well as luxurious fish, meat and cheeses on grilled whole wheat breads. Smaller plates of specifically sourced seafood prepared in the style of Crudos, Ceviches, Gravlax & Carpaccios. Light in preparation but full of flavor, a great way to start your dinner. The right side of the menu now highlights the remainder of their savory dishes arranged by their primary ingredient. The sizes of the plates are roughly appetizer or half-entrée sized dishes. Here you can choose however you please, a protein for yourself and a pasta or vegetable to share or perhaps select a few courses to provide a short sequencing of dishes. No matter what, each dish is there to celebrate the quality of the product and enhance it with a few simple touches, keeping this flavorful, powerful and balanced. Celebrating the best of what is in season from their local farmers. Simply prepared and market driven, a great way to start the meal or compliment other dishes. Using both whole grain and heirloom varieties, the right carbohydrates have a proper place in any great meal. From classic recipes to the more creative, you will always find a little something for everyone. Utilizing their best lakes, rivers and oceans, this is all about freshness, sustainability and flavor while maintaining their responsibility to the ecosystem. In collaboration with their most responsible purveyors, this section provides the ideal amount quality meats in balance with the remainder of the menu. 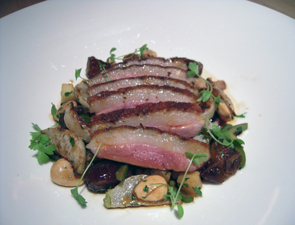 Simply prepared and with a diversity of flavors, it ends the menu on a very high note. WHAT: Join us at the “Your Health in Your Hands” chef’s stage hosted by author Kathy Wright, at Nevada Wild Fest on October 15, 16 and 17, and catch some of the finest chefs in Las Vegas showing how to prepare their favorite country lifestyle or comfort foods. Nevada Wild Fest features family-oriented activities throughout the day, including carnival rides and attractions, and a fun-filled children’s Fun Zone offering pony rides, face painting, a costume shop and pumpkin patch. Proceeds benefit The Lili Claire Foundation. COST: Fair tickets are $7, with kids under 3 admitted free. Evening concert tickets are $25, $45, and $65 and include admission to the fair. Tickets are available by visiting www.nevadawildfest.com.